YOU CAN PLAY CLARINET WITH BEAUTIFUL TONE! Improving clarinet tone brings you more musical pleasure, and your listeners too! "A beautiful clarinet sound can be one of most harmonious sounds we experience. I'm committed to spreading that sound throughout this world of ours! I love to share systems and ideas that allow you to make music more easily. Please enjoy these gifts!" 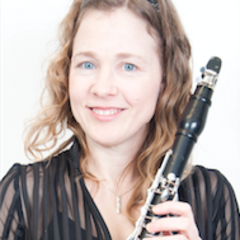 Enter your email to receive Free Training Videos to help you play clarinet with better tone!